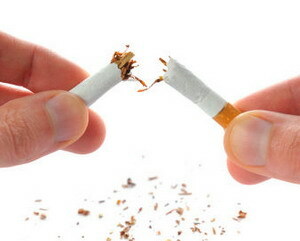 There are some tips on how to eliminate nicotine from the body. Nicotine is the addictive substance found in tobacco. There are many dangers of addictive substances to the health. Nicotine can cause a sudden increases blood pressure and lung damage. Smoking is not good for health. We are all aware of that, but the habit is hard to stop. If smoking continues, the effects of nicotine will take place over many years. To clean the contained nicotine from the bloodstream, you can use the body's most basic needs, that is: air and water. Clearly, cigarette smoke affects the lungs, thus bringing fresh air into your lungs will stimulate the detox process. The best way to do this is through aerobic exercise as simple as walking. You can also add breathing exercises to your program. Drink plenty of water (but not too much), the best water comes from a spring that has been distilled or natural cleaner. Water can naturally remove toxins from the body. At least 8-12 glasses of water is recommended for everyone every day. 3. Drinking fruit juice and vegetable juice. Other vitamins that may help is vitamin B-complex with extra B-12, which is required for proper liver function. The liver is essential for the process of detoxification. Also, vitamin E helps protect cells and organs from damage done by smoking and nicotine toxicity. Coenzyme Q-10 is an antioxidant that can be used to protect cells and lungs. It also protects heart tissue damaged by smoking and nicotine in the bloodstream. coenzyme Q10 also has powerful antioxidant activity that works by binding to free radicals, that is the component that damage DNA, cell membranes and cause cell death. Consult a doctor or nutritionist. Nicotine is a highly addictive chemical, the dependence compared to cocaine or heroin. For those who smoke, when your body does not get toxic materials from nicotine, you may experience withdrawal symptoms, including anxiety, restlessness and tremor. The herbs can calm you and help reduce these symptoms. Herbs can be taken as a tea, which is also relaxing, or supplements. Ginger can make the body sweat, which in turn will cleanse toxins from the body. Other foods that work together include garlic and cayenne pepper. Take grape seed extract, which is also a powerful antioxidant. There are support groups available for people who need help withdrawing from cigarettes or nicotine. Joining them will be very helpful for you. Try clearing your body through a steam sauna. Sweating can remove toxins. But no sweat way excessive. Many commercial products are available through health stores and detoxification offers to help quit smoking. Some can be useful, but be sure to read the label and follow directions. Should also consult with healthcare professionals during the program.